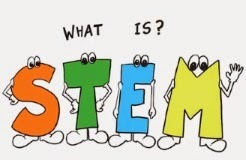 Louisiana STEM Works : Why STEM? STEM is critical to continued innovation and new products that can help make the world a better place. STEM is also a key part of a healthy economy, business growth and stronger communities and good jobs. People with STEM backgrounds find careers in every part of our economy including medicine, construction, energy, oil and gas, environment, farming and finance. 69,000 = The number of STEM-related jobs* Louisiana will need to fill by 2018, most of which require at least some college. The future is closer than you think! See today's press release. Ameritas Technologies Announces 300-Job Technology Center in Baton Rouge. Ameritas will partner with state government and local colleges and technical schools to recruit, employ and train a new generation of skilled IT workers to support innovation and technology leadership in Louisiana. The 300 new direct jobs, with an average salary of $63,000, plus benefits, will result in an additional 306 new indirect jobs.